I primarily work out of a Virtual Machine and try to keep running background tasks to a minimum. So, I don’t particularly want a SMTP server running unless I am actively working on email code. 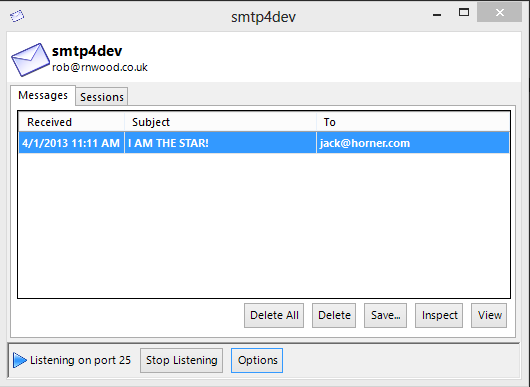 Enter smtp4dev, a simple light weight dummy SMTP server. It runs in your system tray and gives you an easy way to capture email messages and view them.